A South Carolina Real Estate Practice you can trust! Real estate lawyers in Spartanburg, SC are professionals that apply their legal skills to, issues concerning property such as everyday transactions and property disputes. A real estate lawyer in Spartanburg, SC has the resources to prepare and review real estate documents such as purchase agreements, mortgage documents, title documents and transfer documents. Real estate lawyers also tend to handle commercial and residential closings – which means, when an individual, business, or trust buys real property from another person or entity. When you face the stress of real estate litigation, having an attorney with substantial knowledge about property laws and civil litigation by your side can lighten the burden. Along with dynamic courtroom demeanor, our attorneys possess the specialized knowledge necessary to successfully litigate your real estate disputes. Our real estate attorneys understand that anxiety often accompanies the excitement of buying or selling your home. 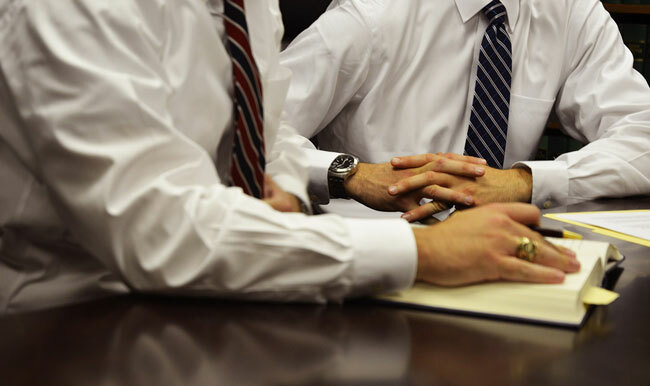 At Anderson, Moore, Bailey & Nowell, LLC, we skillfully represent you from offer to sale and ease your concerns.